Iron As Needed: Oh Brother, Where Hast Thou Been? Oh Brother, Where Hast Thou Been? "A good use for me is to let me go away with my sewing machine and come back with some really new stuff." A standard home sewing machine has served me well for the past two years, but there always comes a time to try new things. 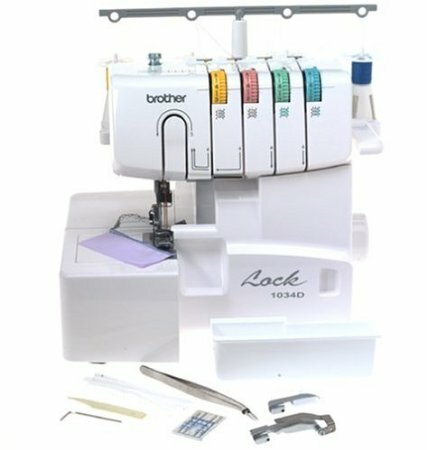 My husband lovingly gave me a Brother serger for Christmas and it is magical. After spending an hour figuring out how to thread the 4 spools, I got to sewing. The feeder zips the fabric through at an amazing speed and finishes the edges to perfection while cutting off excess fabric. 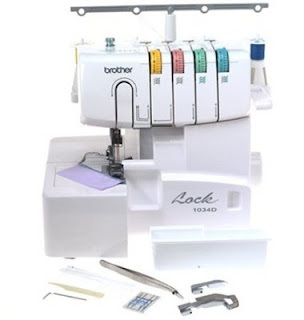 It takes away the worry of unravelling threads and works wonders on ultra-thin textiles that my other machine struggled to manage. I extravagantly purchased some Armani silk (couldn't resist) and silver lining to make a simple top with short sleeves. 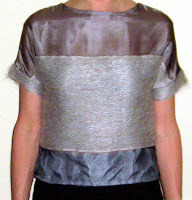 Silk is one of the trickiest fabrics to work with, but my new serger sewed it with ease. I still have a lot to learn as this top was my first and only project thus far. For those of you that have used a serger before, I'd welcome any helpful tips you could send my way!